Hometown Pest Control is committed to providing our customers with the highest quality of service and to treat every customer with professionalism, courtesy and respect. We pledge to be a company you can count and depend on to deliver what we promised. We recognize that our success depends on satisfied customers who continue to use our service year after year and who recommend us to their family, friends and neighbors. We guarantee our work and, if you have a problem after your regularly scheduled service, we will return to take care of the problem. Excellent company! Have used for 20 years. No problems. Chico the technician is the best. 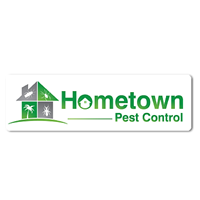 We have used Hometown pest control for many years. Always found them to be knowledgeable, reliable, and friendly. Their prices are reasonable also. Excellent service. Personnel assigned to our home are always careful and a pleasure to work with. It is a highly recommended service. I have been satisfied with my service for years. I would recommend them to all. Very pleased with the service one year in. The staff is very knowledgeable, and very trustworthy as well! You do a great job! You are anti-Florida ... you show up on time and our property is pest free,. I’m very happy with Hometown and with them almost 6 years. Especially happy with Chico. He’s an incredible person and a wonderful representative for the company. We are very pleased with all the services ces Hometown does for us. Rachel is our service provider and she is friendly, curtious and always on time. We’ve been with Hometown for four years and are pest free! The best! Chico and his helper are terrific. I am very pleased with the professionalism you show to customers, but my name is NOT Lashanda it is Suzanne. Happy customer for over 2 years. Field Techs are very courteous and knowledgeable. They even remember my pet’s names. Shoes off before they come into my home. Customer Service in the office is unmatched. Thank you Hometown Pest Control. We have been with Hometown Pest Control for the last 14 years. We subscribe to several of their services including termite control. We have always had very caring people do the monthly exterminating. Rachel, who is our current exterminator treats our home as if it is her own. She knows exactly where our problems are and stays on top of the situations. We actually look forward to her monthly visits. Whenever we have had a problem between visits, Hometown has sent someone in the next day to address our concerns. We have been very happy with your service over a period of many years. Keep up the good work. You are the best! Always prompt and always so pleasant! I am a very happy customer! Home Town was excellent. They showed up on time and provided the service as stated. We have had no pest or termite issues since the treatment. Excellent. The value of there service was the best around. EVERYTHING HAS BEEN FINE WITH THIS COMPANY. THEY COME ON TIME, DO A THOROUGH JOB AND AM PLEASED. I think Hometown does a great job with pesticide spraying of all my hedges and my lawn and also I like the white fly spraying. My hedges have grown substantially since I’ve had Hometown. Have used them for several years and are very happy with them. I had Hometown for 4 yrs , always very thorough in spaying the home . Always comes right out of any problem .just very pleasant technician and staff ! job well done, very friendly,. I was very pleased with the quick response to requests for someone to check out my house. I have been having problems with ants since I moved in. Finally one night a friend noticed ants outside all over the window sills. Next you guys came out and took care of my problem. Haven't seen one single ant since. Signed up for a years service. Have used this company and service for a year. I like their practice of assigning the same employee to render service monthly, as it allows the opportunity of developing a positive relationship, and providing comfort in security as you get to know the person entering your home. Above all, the service is exceptional. This is a fabulous company. They’re thorough, obliging and do a great job. The folks that come to our home are polite and always on time. On occasion we’ve forgotten and haven’t been home to let them in. They obligingly arrive the next day. I highly recommend Hometown for your pest control needs. The man that servies us is the best. I have been with Hometown Pest Control since 2006 and always been extremely happy and satisfied with all your services. My current pest control exterminator is Fabio Rangel and not only is he professional, but he's polite, and very pleasant to be around. I trust him completely to go around my house without me following him around (as I work over 60 hours a week, albeit at home) and find him to be extremely trustworthy. I know he's a valued employee and an asset to Hometown Pest Control. Thank you. Tina Marmorstein. Always available. Easy to work with. Always on time. Very knowledgeable. A great company to take care of our home. Hometown has always done a great job at my house. I would definitely recommend this company. Had nasty bug problem but Hometown pursued. Service men are very nice. We have been customers for over 18 months, with excellent results. Great customer service and value! Thank you very much! COH. Your service is excellent, your people are always courteous and thorough. I have and will continue to recommend you without hesitation. We are pleased with your service and the employees are very helpful. Please correct your records, my name is Robert not Alfred. I am very happy with my tech (Chico). I can only say that we feel he is the reason we are satisfied with the company. He has been servicing our home for many years. He is very courteous, very professional and very knowledgeable. Great at what they do! And I used their handyman service too which was excellent as well. I have been using hometown for past 4 years, only twice have I had ant issues and they came out immediately and took care of the ants. Very good customer service. I am not Sandra Simon. I am Phyllis Simon and I do use your service for the outside. The only problem I have is that your scheduling is not always right. You say you're coming one time and then you don't show up on that day.My problem with that is sometimes I need to point out something that needs attention and I may not be home if you come a different day.